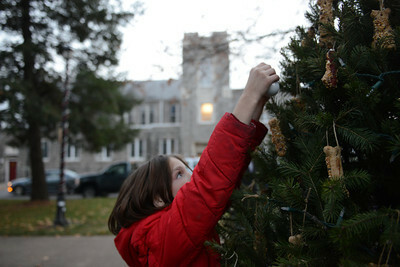 Ann Sabol, of Northumberland, strings lights around a Christmas Tree at King Street Park in Northumberland on November 16, 2012. 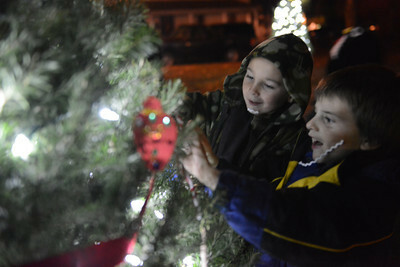 The park is lined with twenty trees that have been provided by the Soutside Fire Department of Riverside. 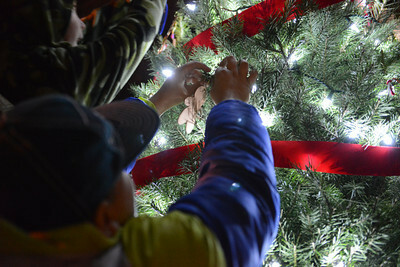 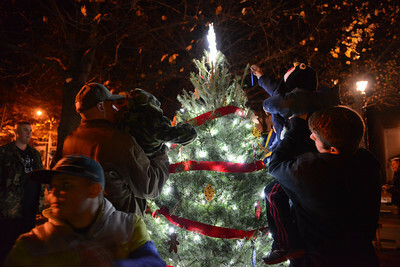 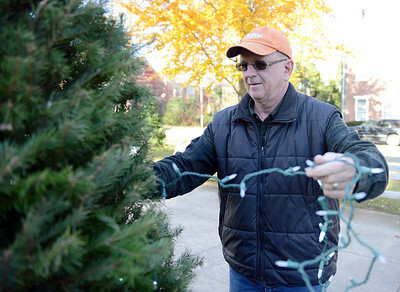 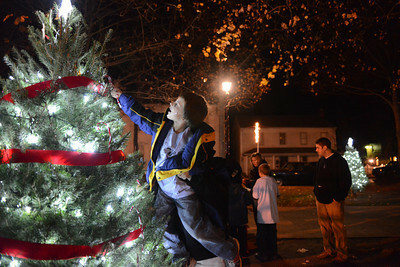 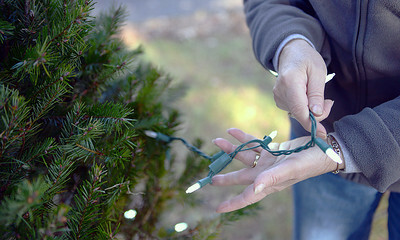 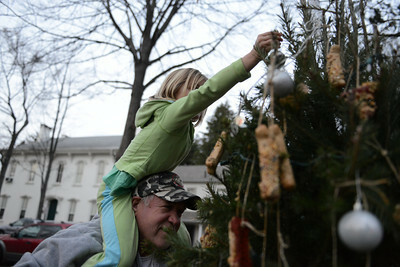 Northumberland Mayor Len Zboray puts lights onto one of the twenty Christmas trees that line King Street Park on November 16, 2012. 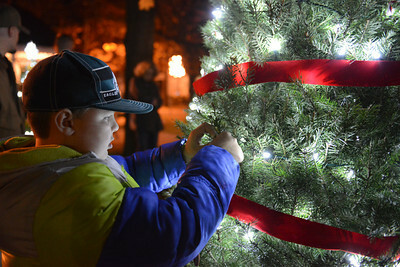 The S. Luther Savidge Charitable Trust donated $5000 for new decorations for the park this year and the Soutside Fire Department of Riverside provided the trees. 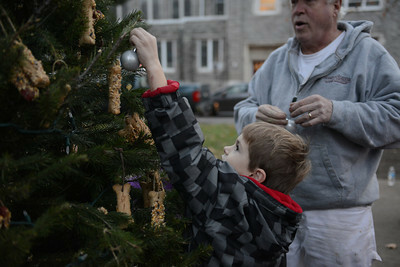 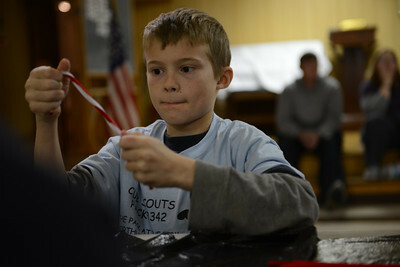 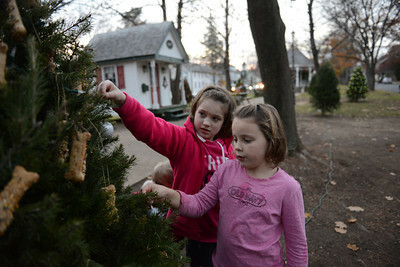 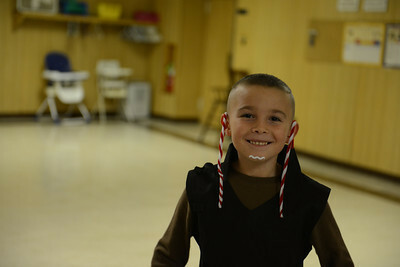 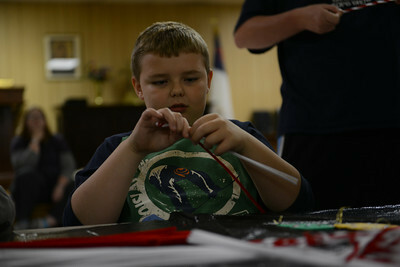 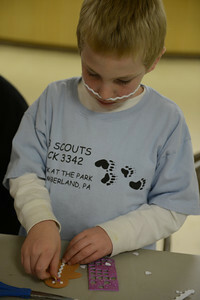 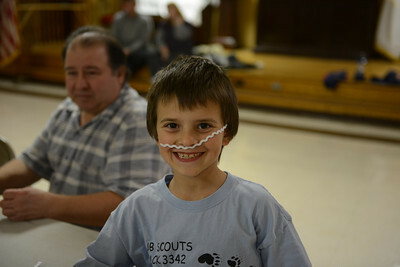 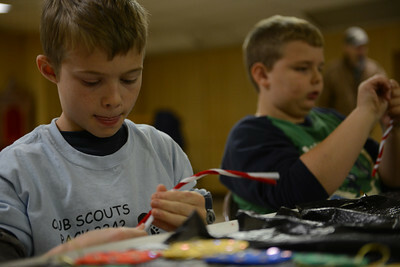 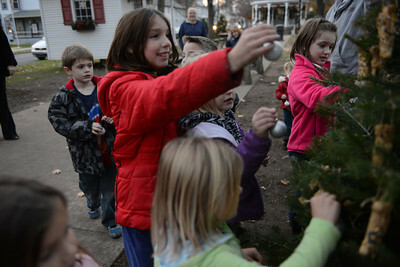 Local civic groups will be decoarting the trees, there are still trees left to be decorated. 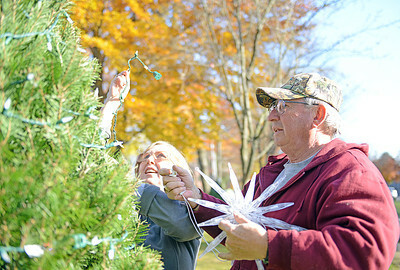 Ann and Bob Sabol, of Northumberland, string lights and put up a star on the top of one of 20 christmas trees lining King Street Park in Northumberland on November 16, 2012. 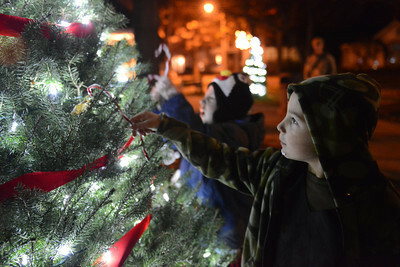 The S. Luther Savidge Charitable Trust donated $5000 for new decorations for the park this year and the Soutside Fire Department of Riverside provided the trees. 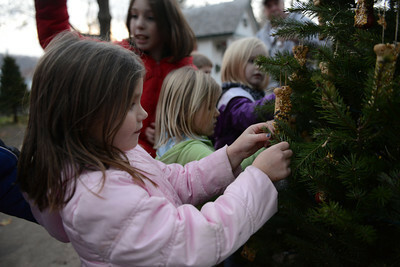 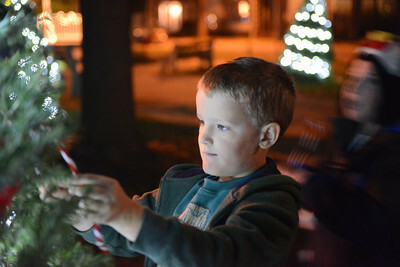 Local civic groups will be decoarting the trees, there are still trees left to be decorated.